UnLtd and Engine Shed have announced a new partnership to support social entrepreneurs in Bristol and the South West. 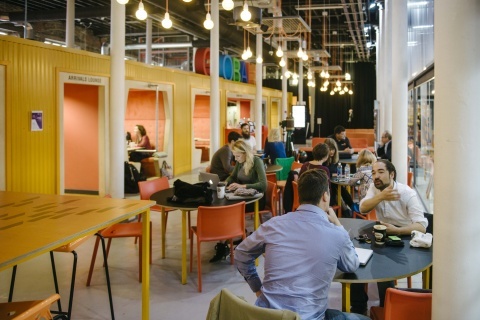 The collaboration will allow UnLtd staff and award winners free access to Engine Shed’s Business Lounge; conveniently located next to Bristol Temple Meads station. The agreement aims to build upon the existing support available to social enterprises in Bristol. It will provide UnLtd staff and award winners with a meeting space to facilitate collaboration and networking with academics, high-tech, creative and low carbon entrepreneurs and innovators, business leaders, policy makers and professionals and will provide a consistent location for their meetings and events. The Business Lounge is open Monday – Friday, 8.30 am – 5.30 pm and members can arrange to meet with up to two non-members here. Other members of the Lounge include staff from University of Bristol, University of the West of England, University of Bath, Bath Spa University, Bristol Media corporate members, Institute of Directors (IoD) members, WebStart Bristol companies, Business West Initiative members, RSA fellows, ICAEW members, City of Bristol College staff, Lloyds bank staff, GWR business team, Temple Studios companies, SETsquared Bristol virtual members and SETsquared Bath companies.